Seasonal Mecca or Enclave for the Elite? Moab’s Housing Market is at War with Itself. 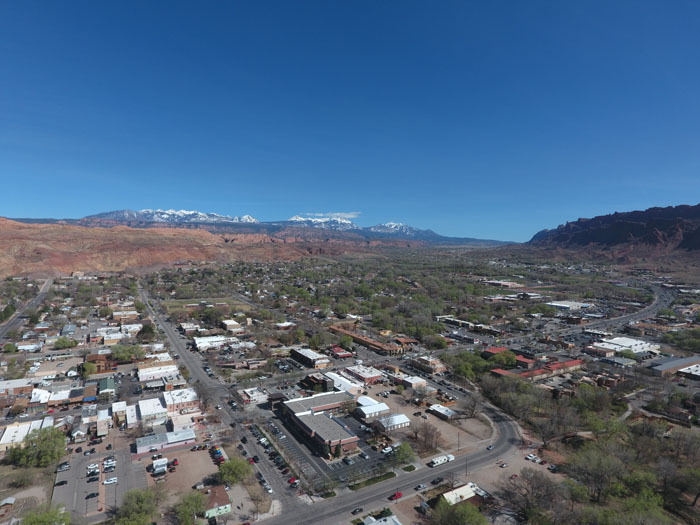 Moab is quickly appearing more like a boom-town. Housing and hotels are going up, but will zoning restrictions be changed? Randy Day has been a Moabite for the past 45 years. On the walls of his office at Anasazi Realty in Moab are photos of the founding fathers and Jesus. He shares a very brief version of his success story with me. Day upgraded from the trailer he once lived in. “I bought some land for cheap, as a senior in high school, and built myself a home,” he says. Day’s story of good fortune through hard work and self-reliance by climbing the socioeconomic ladder is something he attributes to the absence of government meddling. “It’s sad that what I did wouldn’t be possible today,” he says. Day doesn’t view the dearth of affordable housing as a lack of supply, but rather, an excess of regulation and zoning laws. He points out the sellers’ market that exists in Moab (very little supply and a lot of demand) contrasted with Castle Valley, which is a buyer’s market (an excess of supply and little demand). Castle Valley is just 25 minutes from Moab. The spectacular valley has at least three dozen lots for sale, many under $150,000 including water and utilities. But some lots have been on the market for years. This is because the sleepy valley prohibits commercial activity—not even a small store is allowed to service its residents. “The old hippies,” as Day affectionately calls them, “control the place” and have no plans to loosen the rigid laws that might allow for dozens of lower-income housing options. Currently in Castle Valley, each plot must remain at least five acres with a single-family dwelling unit. Nightly rentals are strictly prohibited, as are any form of multi-unit housing options, which would allow extra income to assist first-time home buyers to afford a mortgage. Whether the community would allow for more trailer parks or the more modern concept of a mini-house community, Castle Valley’s community council maintains that their current infrastructure and master plan could not allow for smaller lot sizes without significant infrastructure changes as well as irreversible alterations to the rural, wide-open vistas and quiet, scenic landscape. They maintain that it’s the preservation of open spaces that attracted the homeowners who currently reside here, and who predominantly want to keep things as they are. Moab’s “outdoor mecca” reputation continues to attract professional climbers, slack-liners, river guides, and artists—a host of low-income millennials from all over the country who value life experiences, freedom, and the ability to quench their thirst for adrenaline-powered adventure and scenic vistas in a small town. These minimalists are altering the demographics. Scott Rogers is a professional slack-liner, photographer, documentary film-maker, and aerial drone operator; he regularly flies his drone in and around his fellow thrill seekers in places like the Fisher Towers. On a cold afternoon last November, we witnessed him flying his drone 400 feet from the ground when Mia Noblet was attempting to break Faith Dickey’s world record for the longest slack-line walk. It was rigged between two of the Fisher Towers. Scotty lives in Moab six months out of the year, and rents a basement apartment. 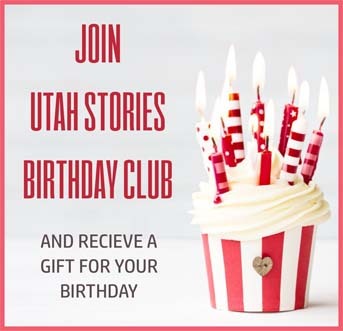 He is actively looking to buy property or a house in Moab with his girlfriend. They are just looking for something they can reasonably afford. 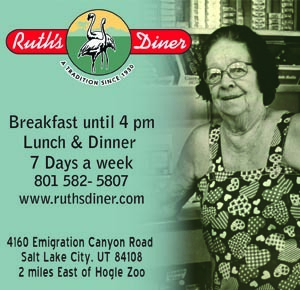 Colin Fryer is the owner of Red Cliffs Lodge in Moab. He has solved the problem of housing for his seasonal employees by providing them housing in town on parcels of land he bought with rare multi-unit zoning. These parcels have several well-kept aluminum Avion trailers, and he says that his employees appreciate their quarters. But it wasn’t a simple process to get the city to allow him to provide this housing. Red Cliff’s Lodge GM, Charlie Every says, “I think it’s a bit of an overstatement to characterize what we have as a ‘problem’. Do you know how many small towns would kill to have our ‘problems’? Come to Moab and look for a job. If you are decently qualified, you can find two jobs in a day, and if you work for us, you will get your housing covered,” he says. That’s not a problem, that’s a great opportunity for a small town. Charley remembers the time in Moab when the mining industry dried up and all the jobs were gone, real estate couldn’t be given away, and those who stayed were all poor. The only real problem they are “suffering” from is the infrastructure is insufficient to meet the needs of the new prospectors who have bought land to build hotels. Colin Fryer has a piece of land he planned to build a hotel on this summer but there is now a moratorium on building, so his plans will have to wait until the water and sewer lines are upgraded. To stay in Moab’s cheapest rooms on a weekend runs a minimum of $200. Nice rooms are renting for over $350. On Holy Oak Lane, on the south end of town, a few miles from the “hot areas,” there are some trailer parks, including a few parks that house hotel employees. Maria and Joe West of West Auto Repair & Sales. 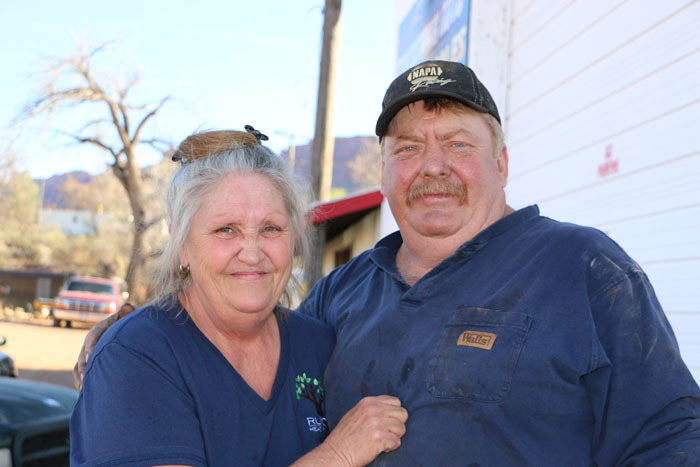 they are grateful for the loose zoning around their business, which enables them to provide affordable rental trailers on their property. West says he already has the electricity, water, and sewer hookups for the additional trailers, but he says the city “has other plans for this area.” Holy Oak is being widened to three lanes; it’s going to get a curb and gutter. West says he welcomes the city’s improvements. “I’m not going anywhere anytime soon. I have a lucrative business, and my son’s shop is right there [just to the West].” He performs vehicle emissions and inspections. West has a junkyard behind his shop full of scrap metal and old cars and trucks. “The city is after me to get rid of all this. I say, ‘Why don’t you come and clean it up?’” He takes me inside to see some hydroponic plants he’s growing in a fish tank—It’s a cool set up. He pours another crown and seven, as I get more of the tour before I launch the drone to take some aerial photos. Tom Tom’s Volkswagen Museum. The owners plan to clear the property and sell to a developer. 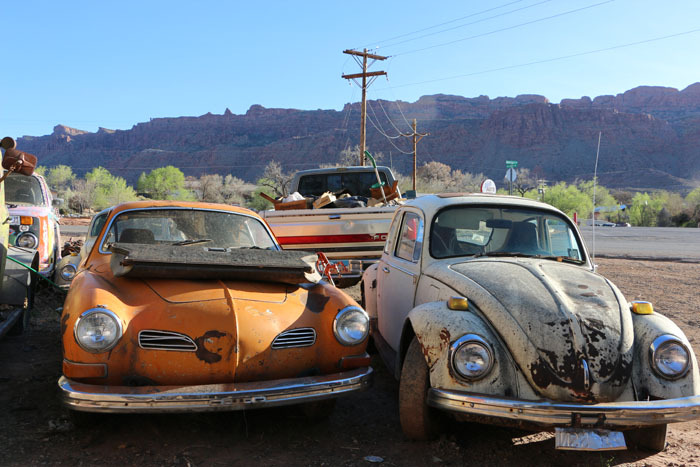 Across the street from West is a Volkswagen junkyard, Tom Toms Volkswagen Museum. It’s something like a museum residents are proud of for servicing the many vintage VW buses that constantly break down. The owner has plans to clean up the yard and eventually sell. Before I head home, West’s partner comes out and tells me she sees a serious affordable housing problem. Maria, who works at the daycare, sees families struggling with two or three jobs to afford the cheapest places, which are around $1,000 per month. “People can’t afford to live here anymore. If I didn’t already have all this [property], I couldn’t afford to rent anything here.” She especially sees young families and the elderly who were in trailer parks that have now sold out, and are struggling to pay rent by working several jobs. 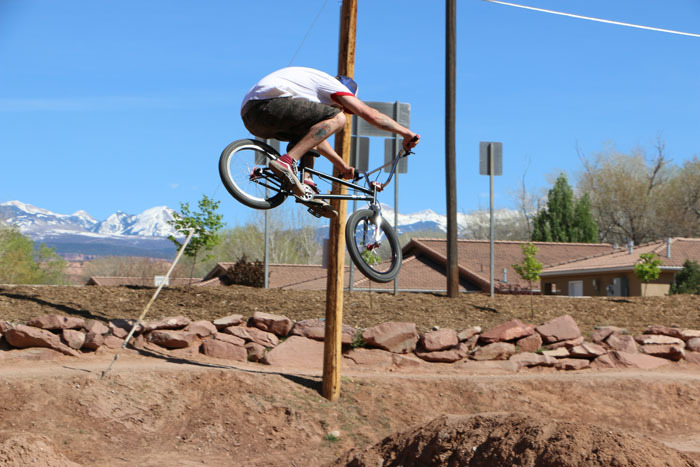 Richard Haydon, from Loveland Colorado, getting the big air on Moab’s BMX bike trail, just a block from Main Street.